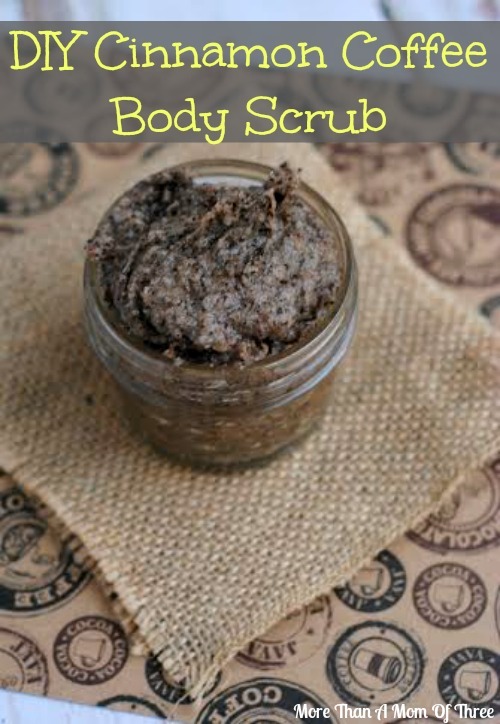 DIY body scrubs are not only so easy to make but just as good if not better than a pricey scrub at any beauty supply! 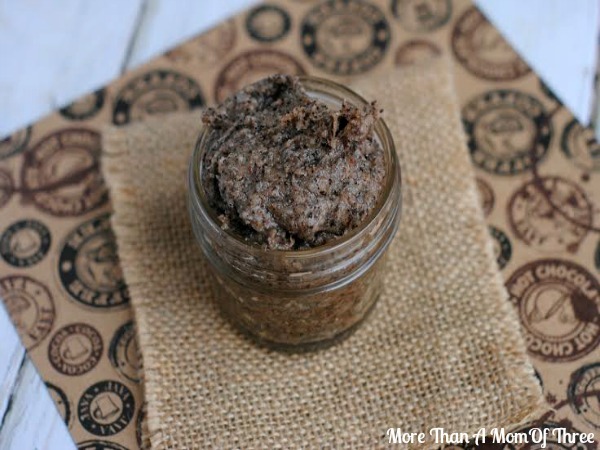 My DIY Cinnamon Coffee Body Scrub smells delicious and they make the cutest gifts. Think Valentine’s Day, these would make a great gift for your mom, sister or your girlfriends. They will love it! Today I have an amazing DIY Cinnamon Coffee Body Scrub recipe for you guys. You all know how I love my coffee, well it’s not just for drinking at my house. The mixture of coffee and cinnamon is a great combo, it smells heavenly. Coffee and coconut oil (my new found love) are rich in antioxidants which are good for your skin. I have read that when you use coffee on your skin it is supposed to reduce the appearance of cellulite and tighten the skin. Now do not quote me on the cellulite part but the firmer skin I have noticed in my problem areas. The cinnamon is a good energy booster for me, it leaves me feeling refreshed and charged for the day. #1. Combine the coffee, cinnamon, sugar and coconut oil, mixing well. #2. Scoop the mixture into your mason jars and seal. #3. To use – apply a generous amount of the scrub on wet skin in the tub or shower. Massage in circles and rinse with warm water. This makes an approximately ¾ cup of scrub and will fill 2 4 oz mason jars or 1 8 oz mason jar. The DIY Cinnamon Coffee Body Scrub will be good for 6 months. If you see the contents separating, simply stir and use as usual. 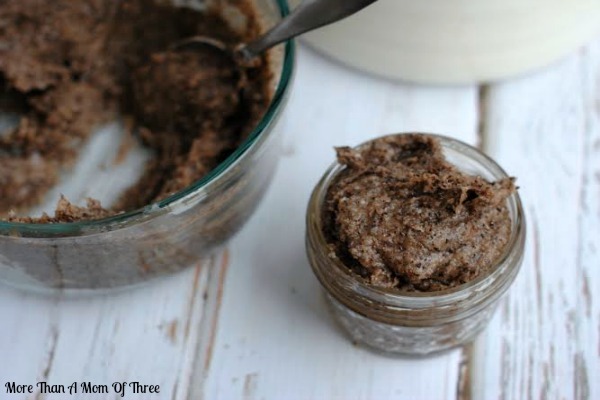 Have you made a DIY body scrub before? What are your favorite things to add? You are welcome 🙂 it does smell amazing! I bet this scrub makes your skin feeling soft and smelling great. I have all the ingredients in my pantry. Yay! It does. That’s what I love I always have these items on hand no need to run out and buy fancy ingredients. This is a money saving tip than buying scrub in the store. Thank you for sharing. You are welcome 🙂 very cost effective! This sounds like a great body scrub recipe! I love coconut oil! The smell of cinnamon is invigorating to me too! This sounds great! I think I would want to eat this! I can almost smell it from my laptop- definitely sharing and making this! I just found an extra jar of cinnamon I didn’t know I had. I think I am going to make this for me. It only filled 1 4oz jar, how full do you fill it. Sounds amazing! I made a Brown Sugar Scrub a few weeks ago. Since I till have more supplies, I will be giving this one a try! I’ve heard the same thing about coffee. 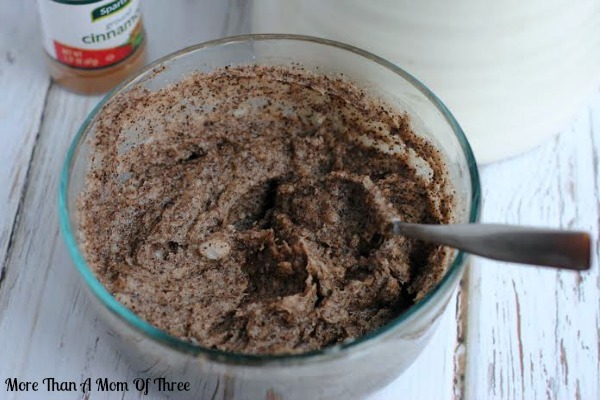 I have a coffee wrap saved on Pinterest that I’m dying to try…will have to do so when I make this scrub! Have a great day! I’m coming to you from Wake Up Wednesday – thanks for sharing such a great article. Please swing by my blog and say hi while there! I can’t stop thinking about how delicious this must smell! Thanks for sharing at the Inspire Me Mondays Link-Up! Bridget/The Recipe Wench recently posted…Corn Chowder! I just made this with my leftover coffee grounds from this morning and it was amazingness!!! 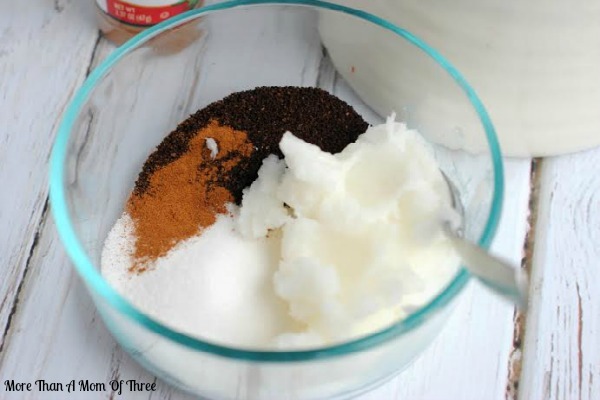 This is my favorite DIY scrub yet! Thank you for sharing! I used extra coconut oil as I found mine being very very dry with just 1/4 cup. I ended up using about a 1/2 cup. But smells great! Going to try t tonight! Everytime I make a coffee or different scrub, it molds within a week??? I love DIY scrubs, but I’ve never tried one with coffee before. Thanks for the inspiration, and thanks for sharing at Merry Monday! Just made this and headed to the shower to try it. So excited and it smells lushious. how to you store this coffee scrub please. in refrigerator? I actually have heard that there are benefits to using coffee on the skin. This is nice and simple to make and I like that you can out it together without a ton of ingredients. valmg @ Mom Knows It All recently posted…Fun Comfortable Halloween Leggings On Sale Now – With 20% Off Coupon! How long to massage and keep on? Does it matter what type of grind on the coffee? ?